EMERGE MEETUP: Are you new to the design industry? 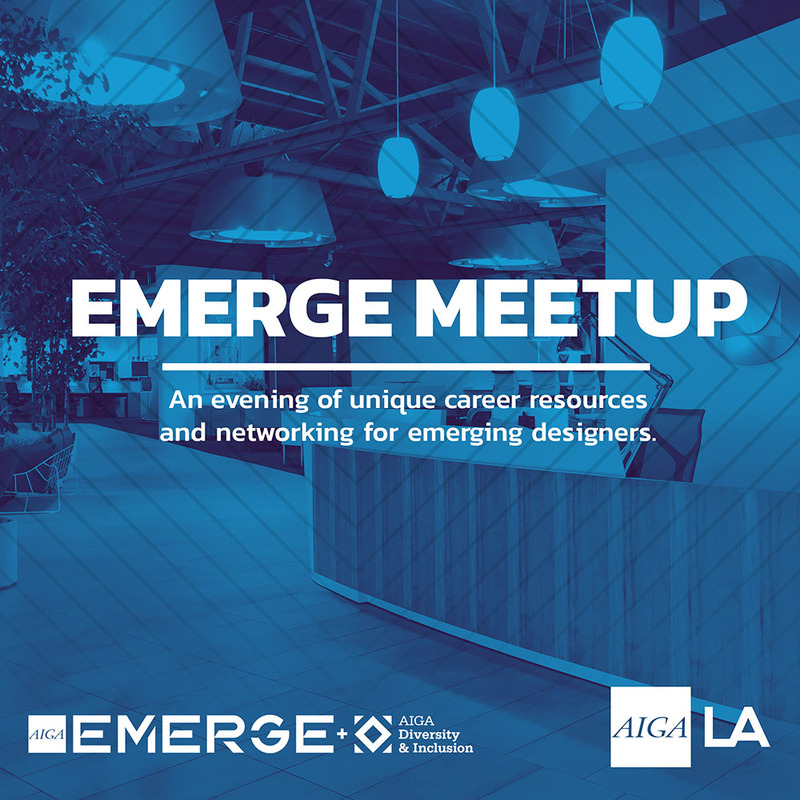 As part of the EMERGE Awareness Week, AIGA Los Angeles is hosting an exclusive EMERGE Meetup that will take place on Wednesday, September 26th, 6:45–7:30 pm. If you have less than 5 years of professional experience, register for our California Design event using the code AIGAEMERGE for a reduced $10 ticket price and exclusive access to career advancement resources, unique creative opportunities, and business coaching from people who have been there, done that, and know how it works.